The topic of trust often surfaces when I am providing training in school systems where instructional coaching or mentoring programs are being introduced. Most participants describe the need to build relationships with teachers so that they can establish trust to increase teacher vulnerability and risk taking in the coaching partnerships. I agree that relationships can build trust and add that trust building processes can help build the relationships. One illustration of this process is in establishing expectations and roles from evaluation, supervision, mentoring, and peer coaching activities. What happens in each of these roles? 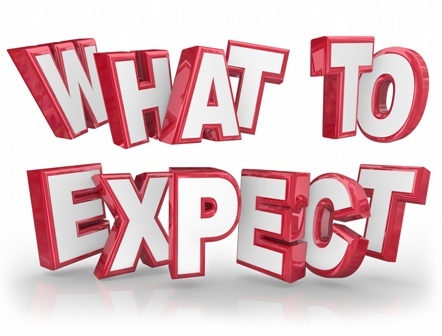 What can a teacher expect and not expect? How does the observer’s role change in each of these? What responsibilities does the teacher have in each activity? Many administrators and teacher leaders have different roles at different times. How does a teacher know which role the observer is in at any given time? An instructional coach (IC) can function as a “peer coach”, responding to a request from the teacher for observation and feedback. On another occasion the IC is more in the role of a mentor or technical coach providing feedback the teacher may not have “requested” on district data or technical feedback related to a building wide professional development effort. In some cases the IC can have a role very close to supervision when the administrator suggests to a struggling teacher that he seek support from the IC. Justin Baeder, from The Principal Center, interviewed Jennifer Abrams to discuss her book, Having Hard Conversations. Abrams establishes that identifying the expectations at the onset of a relationship paves the way for holding difficult conversations when needed. I would add a component which is getting a commitment to the expectations. As an example, a PLC places expectations and commitments in the minutes and agenda for their next meeting. The facilitator or any member could paraphrase the expectations as the meeting ends. “So the plan is that each of us will complete the student interest inventory before our October 15th meeting and bring the findings to that meeting.” When a teacher frequently comes to the PLC without the expected tasks completed, accountability conversations from team members can occur. Too often I find that the expectations and commitments are not sufficiently formal or explicit. The difficult conversations become more difficult and often are not held. Consider what processes you can put in place to clearly state expectations and obtain commitments publicly. Expectations and commitments build trust. I haven’t found any instances of “coaching” from administration or teaching team members, since returning to full time teaching last year. As a substitute teacher for the previous three years I heard nothing about this either. Why is this not present? I totally agree that developing a culture of trust is vital in establishing effective coaching and mentoring systems. As a school principal myself, I find that it is very important not to mix up the roles of coach and evaluator. This can happen without you even really realising it, but is a disaster for those you are trying to lead.